Check out if Creative Commons is in The Top 100 NGOs 2013 Edition! Expanding the reach of the digital public domain. Over 350 million licensed works. Taking its name from the tradition of resources owned or held ‘in common’, Stanford law professor Lawrence Lessig initiated the ‘creative commons’ movement to encourage individuals to offer their creative works for others to legally build upon and share – including text, music, pictures and video. At the heart of his pitch was a concern the default copyright laws operating in most jurisdictions were restricting creativity in the digital environment by preventing people from accessing, altering and distributing copyright material online. In order to facilitate the broad-based uptake of what has been described as a ‘copyleft’ approach, Lessig founded the non-profit Creative Commons with partners in 2001. Central to the organization’s mission is the development and dissemination of licenses free to the public, alongside a web platform designed to assist individuals license their work freely for certain uses, or dedicate it fully to the public domain. These licenses allow creators to communicate which rights they reserve, and which they waive for the benefit of recipients or other creators. Growth has been phenomenal – by 2009 it was estimated that more than 350 million works were using the Creative Commons license worldwide. 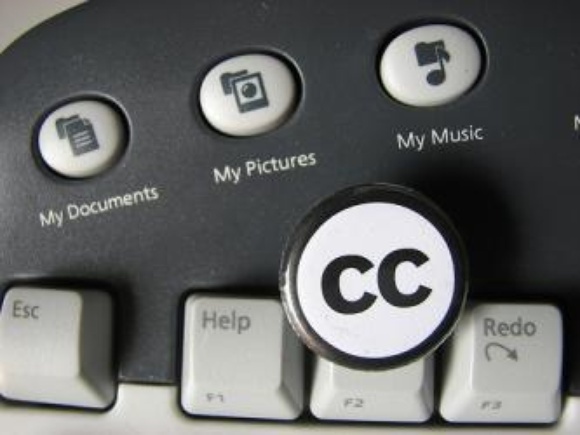 Creative Commons also undertakes projects to build commons based infrastructure for scientific research, and works to minimise barriers to sharing educational materials.